Come experience the best of Norfolk, Virginia with the Passport to Fun and enjoy admission to Norfolk's top attractions! 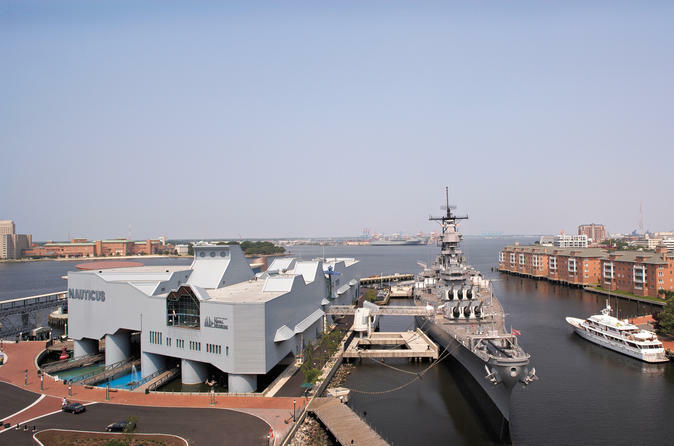 Through these specially-issued passes, you can explore Norfolk's Battleship Wisconsin, known as the world’s largest and last battleship. Marvel at maritime science and history at Nauticus, uncovering the power of the sea. Step inside the Hampton Roads Naval Museum and discover the history of the United States Navy in Coastal Virginia. Go wild at the Virginia Zoo and see tigers, lions, bears and elephants exploring and learning about different habitats and the way animals live in the wild. Then end your adventure outdoors experiencing 150 acres with over 20 themed gardens at Norfolk Botanical Garden. Don’t miss out on great discounts for harbor cruises, food tours, shopping , attractions and much much more!